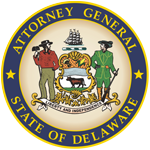 The Delaware Department of Justice’s Actual Innocence Program is designed to ensure that Delaware Department of Justice (“DOJ”) is aware of, and takes corrective action with respect to, persons who are incarcerated where empirical evidence establishes their innocence. Part of DOJ’s commitment to doing justice is ensuring that people who are not guilty of crimes do not suffer criminal sanctions. 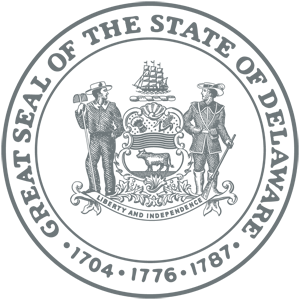 The Actual Innocence Program (the “Program”) will consider petitions from persons who are currently incarcerated, either because of a finding of guilt by a judge or jury or a plea to a criminal charge, and are in possession of physical evidence or scientific evidence suggesting that they committed no criminal wrongdoing. The Program will not consider petitions based only upon recantations or revisions of prior statements, or the production of new statements – such petitions can be presented to the Board of Pardons. Instead, the Program will focus upon cases where physical evidence supports an inmate’s contention that he or she did not commit a crime, e.g., forensic evidence, audio or video evidence, electronic evidence such as e-mail or cell phone records, or other physical evidence. The Program will not consider applications from persons who claim that they entered a guilty plea or were found guilty of a crime more serious than the one they actually committed. The Program will be focused on persons who claim that they are serving jail time when they in fact committed no crime. Applications for the Program must be submitted in writing or electronically to the Delaware Department of Justice Office of Civil Rights and Public Trust to determine if the application satisfies the eligibility standards described above. Persons who submit petitions that do not meet the eligibility standards will be informed of the availability of the Board of Pardons process for seeking clemency. With respect to petitions that do, on their face, meet the eligibility requirements, DOJ Office of Civil Rights and Public Trust staff will consult with a Deputy Attorney General who previously handled the petitioner’s case, if one is available, to solicit the Deputy Attorney General’s input on the petition, and provide copies of those petitions and any response from the relevant Deputy Attorney General to a volunteer member of the bar participating with DOJ in this process as a Special Assistant Attorney General pursuant to 29 Del.C. § 2505. Initially, this role will be filled by former Delaware Supreme Court Justice Henry duPont Ridgely. Additional Special Assistant Attorneys General may be appointed to serve in this role as needed. The Special Assistant Attorneys General will have free access to any materials in DOJ’s possession relating to cases that they believe are worthy of review, and DOJ prosecutors who worked on the cases in question will fully cooperate with them. Staff from the Office of Civil Rights and Public Trust shall provide administrative support with respect to gathering any materials the Special Assistant Attorneys General believe are necessary for their review. If a Special Assistant Attorney General should determine that a current inmate is serving a criminal sentence when the inmate did not commit any criminal wrongdoing, he or she will report this to the director of the Office of Civil Rights and Public Trust. A three-person Review Committee, consisting of two attorneys from the Office of Civil Rights and Public Trust and a prosecutor from the Criminal Division of DOJ will review those findings, and make a recommendation to the Attorney General (if the members of the committee have differing opinions, both shall be reported). The Attorney General will then make a determination as to whether a motion should be filed with the Court to re-open the criminal matter.